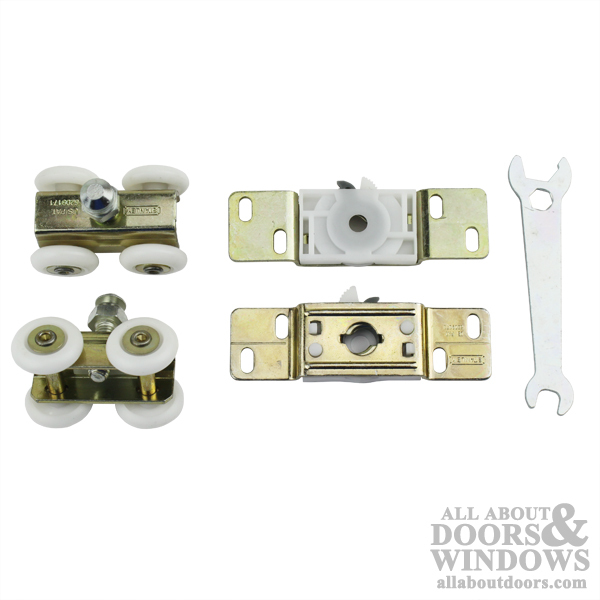 Stanley PD150N Series Pocket Door Assembly with 4 wheels. 1 inch diameter Nylon Wheel, Width: 1-3/16 inch spacing to center of wheels. Length: 1-1/4 inches to center of wheels.